Never give up on something you really want. It's difficult to wait, but it's more difficult to regret. - Gateway to Canada | Canada Immigration Consultancy! 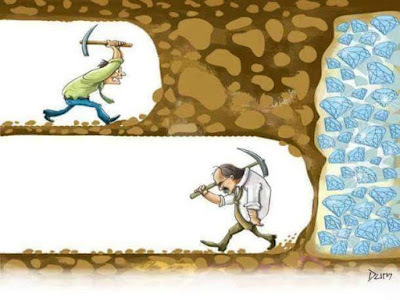 Never give up on something you really want. It's difficult to wait, but it's more difficult to regret. The process of Immigrating to Canada now is more difficult now than few years ago. And if you are familiar with the chronicle of changes in Canada's Immigration rules and regulations, you would understand the rules are subject to changes. Sometimes, changes are favorable for you. Sometimes, it isn't. Some applicants take it only less than 6 months for them to get the visa. Some others took 6 years. You see, if you don't have patience, it may not work for you. So, how bad do you really want to move to Canada? Some Americans suddenly search for information on how to move to Canada just because of a possibility of a Donald Trump presidency. But why do Filipinos immigrate or work abroad? Filipinos immigrate because life in the Philippines is tough and getting tougher. Economic hardship, low-paying job opportunities, lack or absence of financial safety net , rising cost of education, worsening crime are just some of the common reasons why Filipinos immigrate. This is based on the answers we got from our clients throughout our over 20 years of doing business. Sadly, more Filipinos choose to work as a contract worker rather than immigrate as a permanent resident. Most see overseas temporary job as an answer to their financial burden. But it is a common story for OFWs that after several years of employment stint abroad, they go back to square one - still no financial safety net. This, after years of sacrifices of being physically away from family. There are of course those who were able to make it by working as a contract worker. But let's be honest. A short-term fix is not a real solution. We were also told about OFWs who feel that they are alive but dead after several years of working abroad as contract worker - no retirement plan, can't get a job and if applicable, push his children to also work abroad and in process creating the this vicious cycle. Immigrating to Canada is not just about a temporary job. It is a kind of life where you will not worry for your family's future. You have great income opportunity, free healthcare, retirement benefits, free education, support for your kids, safety and security. Wouldn't you want this for your family? Then again, the process of working as a contract worker in Middle East is faster. There is no placement fee. On the other hand, the cost of immigrating to Canada is higher. The processing time may be longer. But the benefits as an Immigrant is PRICELESS. So if you are dreaming to immigrate to Canada, go for it!